The Schengen Area is an area comprising 26 European states that have officially abolished passport and all other types of border control at their mutual borders. The area mostly functions as a single jurisdiction for international travel purposes, with a common visa policy. The area is named after the Schengen Agreement. States in the Schengen Area have strengthened border controls with non-Schengen countries. All of these countries are wealthy , prosperous nations with high human development index. Most of these are non English speaking countries and thus historically not many Indians tend to study and settle there. 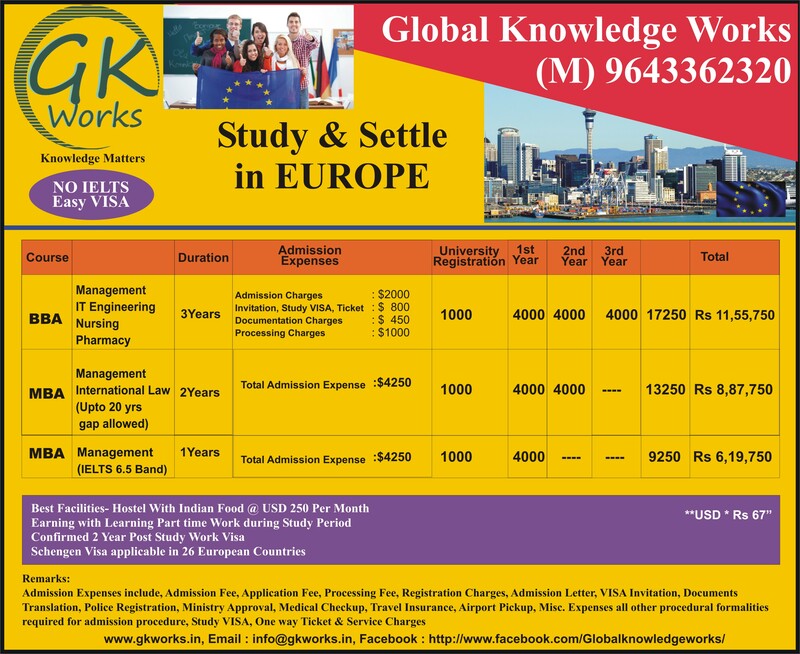 In recent past, many universities in these countries have started to offer English language programs with options of part time work as well as confirmed post study work visa.